Could that really... BE... Christopher Walken? 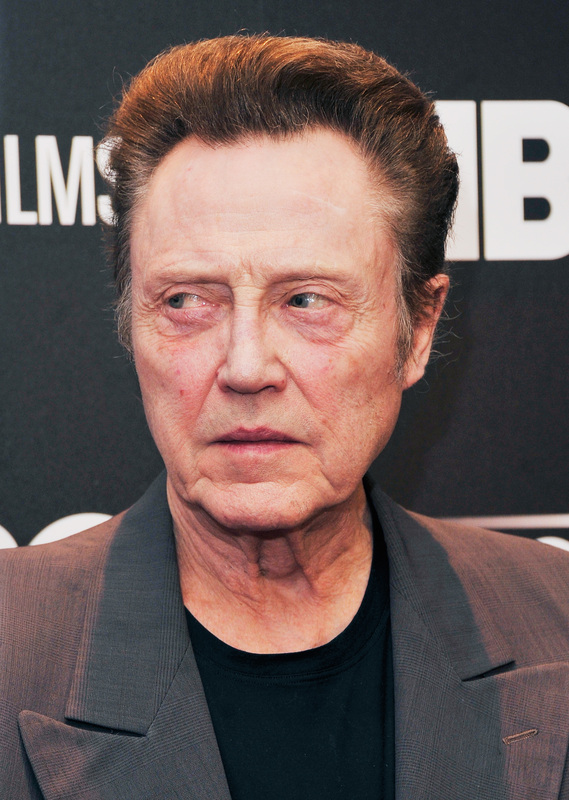 On Wednesday, the first shot of Christopher Walken as Hook for the NBC Peter Pan Live! special was released, and it's a doozy. The actor is barely recognizable in a very impressive makeup job, proving that eyebrows can really change a face. And man, Walken already has those steely cheekbones, but it looks like the makeup crew slapped some prosthetics on his face to make him look even more angular and sallow and evil (but silly). Maybe it's the facial hair, or the costume, but seriously, kudos to the effects team, because I can hardly believe this is Walken. Beside the fact that I'm still like "Wha?" that Walken is playing the villain, I really do think he'll be pretty good. I assume that he'll play Hook as more silly and farcical than pure evil, because there's just that Walken swagger that I don't think he can force to be utterly a baddie. His outfit is really reminiscent of Disney's Hook, bright red coat and point mustaches and all. And, of course, there's Allison Williams as Pan in the pic, looking kind of bored. But damn, that haircut gets me every time.